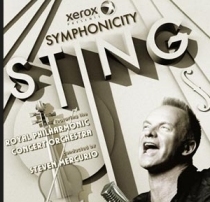 We are pleased to announce Sting, accompanied by the Royal Philharmonic Concert Orchestra will perform in Minsk, Belarus on September 18. The show will go on public sale on Tuesday, June 15. The fan club presale for the Minsk show will proceed in a different manner than usual. If you are interested in purchasing presale tickets for the Minsk date, please contact ticketingultrastar@livenation.com directly and include your Full Name, Shipping Address, Credit Card Info (Name on Credit Card, Credit Card #, Expiration Date, Credit Card Mailing Address), and Number of Tickets Needed. Xerox Corporation is a billion leading global enterprise for business process and document management. Through its broad portfolio of technology, services and outsourcing offerings, Xerox provides the essential back-office support that clears the way for clients to focus on what they do best: their real business. Headquartered in Norwalk, Conn., Xerox provides leading-edge document technology, services, software and supplies for production and office environments of any size. Through ACS, A Xerox Company, which Xerox acquired in February 2010, Xerox also offers extensive business process outsourcing and information technology outsourcing services, including data processing, HR benefits management, finance support, and customer relationship management services for commercial and government organizations worldwide. The 130,000 people of Xerox serve clients in more than 160 countries. For more information, visit www.xerox.com or www.xerox.com/news. For investor information, visit www.xerox.com/investor.